Have you ever wondered what the world would be like if everyone were the same? If we all had the same color of skin, hair, eyes, etc, and we were all built just alike? Imagine if we all wore the same clothes, drove the same cars, sounded the same, and even smelled the same. The world would be so uninteresting! Thankfully, the world is filled with people of all shapes and sizes who have individual tastes, thoughts and beliefs, and that is what adds character and color to an otherwise bah-humbug existence. While I was walking through my local big box store a few days ago, I observed the different types of people there. People from all walks of life. For some reason, this got me thinking, and comparing people to Christmas gifts. This big box store, with all of its aisles of shelves and displays filled with an overabundance of common items and nothing unique, was filled with unique people who were almost all looking for the same thing- the best unique Christmas gifts for their loved ones. These people didn’t want run of the mill items to place under the tree, but ordinary items were all that could be found. No wonder people become so frustrated with shopping during the holidays! Avoid the bah-humbug shopping experience and that bored reaction from your gift recipients this holiday season and forget about those generic gifts on the seasonal aisle at your local five and dime. 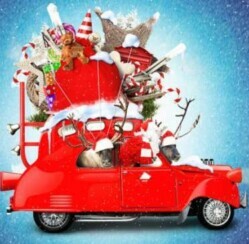 We’ve got the best unique Christmas gifts of all time right here at ChristmasGifts.com! Storm Troopers Unite! 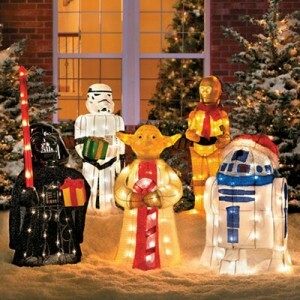 With the 30th anniversary of the award winning Star Wars movie coming soon, and the newest addition to the movie series quickly approaching movie theaters, some of the best-selling unique Christmas gifts are Star Wars characters Christmas Decorations. Of the Month Clubs to Warm Your Loved One’s Heart: Choose from a wide variety of monthly club subscriptions and present your loved ones with gifts that bring them holiday cheer throughout the upcoming year. 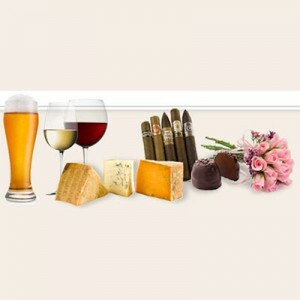 With fruit gifts, gourmet food gifts, dinner gifts, cigar gifts, and even gift cards of the month, the right monthly subscription is right here! Personalized Gifts: Nothing makes a gift more unique than to personalize it with the name, special quote, or touching sentiment that makes your loved one smile. Jars of Notes: These beautifully decorated jars of notes are filled with personalized messages that your loved one can open anytime he or she needs a special life throughout the year. Experience Gifts: Enable your recipient to experience something he or she has always dreamt of like a hot air balloon ride, flying lessons, a scenic cruise, or even a massage. With thousands of experiences to choose from in a variety of price ranges you are certain to find the right experience for your loved one. What kinds of unique Christmas gifts have you found this holiday season?